So MOH and I lately have been absolutely obsessed with smoothies. 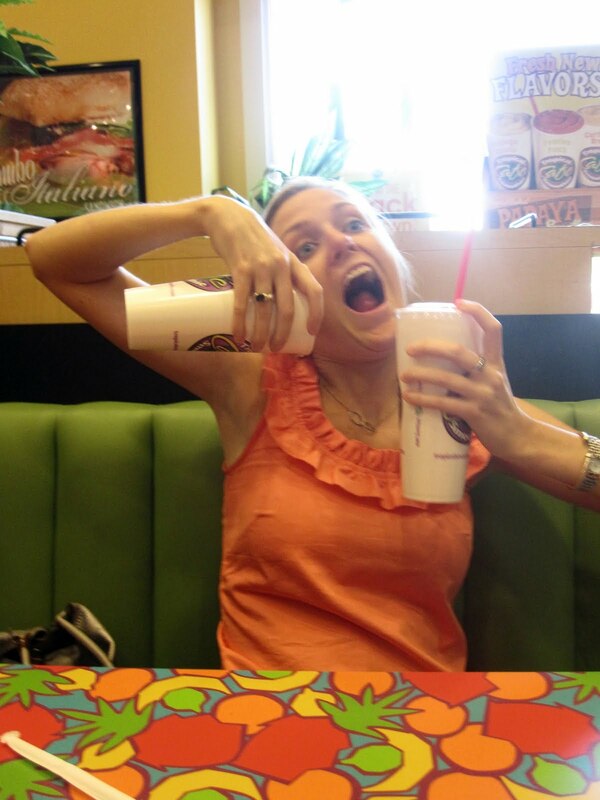 More particularly the Blimey Limey smoothie from Tropical Smoothie Café. It's amazing. MOH has decided that smoothie are the new cheesecake. And much like the famed female consumers of cheesecake, the Golden Girls, MOH and I have been rocking the two for one smoothie specials via coupons normally favored by the elderly and published in the penny saver type mag. Seriously though- you need to try these smoothies. They are around 200 calories and taste exactly like an Orange Julius (as does the Hawaiian Breeze). Seriously, MOH and I have eaten these (drank?) these things probably 6 out of the last ten days. 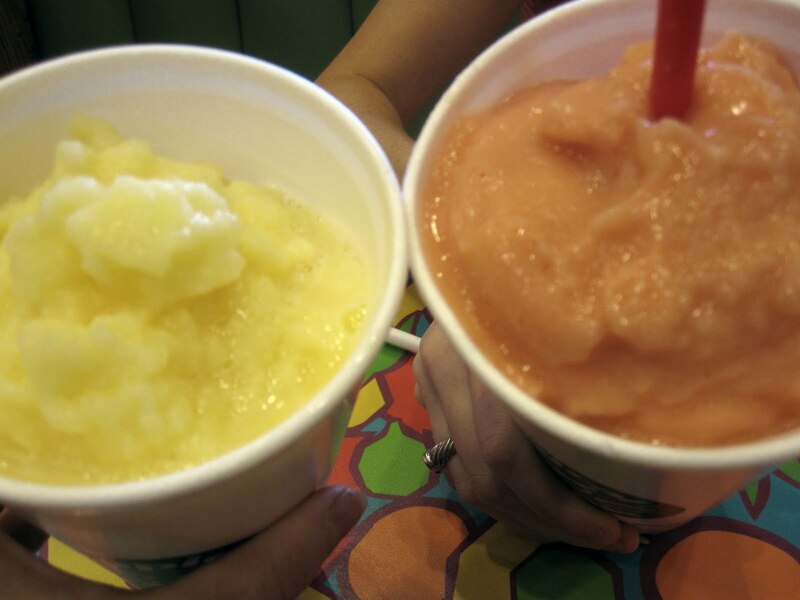 Frozen pureed fruit=springtime happiness? When I get obsessed with something I will eat it everyday until I can't eat anymore. Do y'all do this? What's your latest obsession? By the way, I'm having a Hawaiian Breeze for breakfast as we speak. It's becoming a problem. 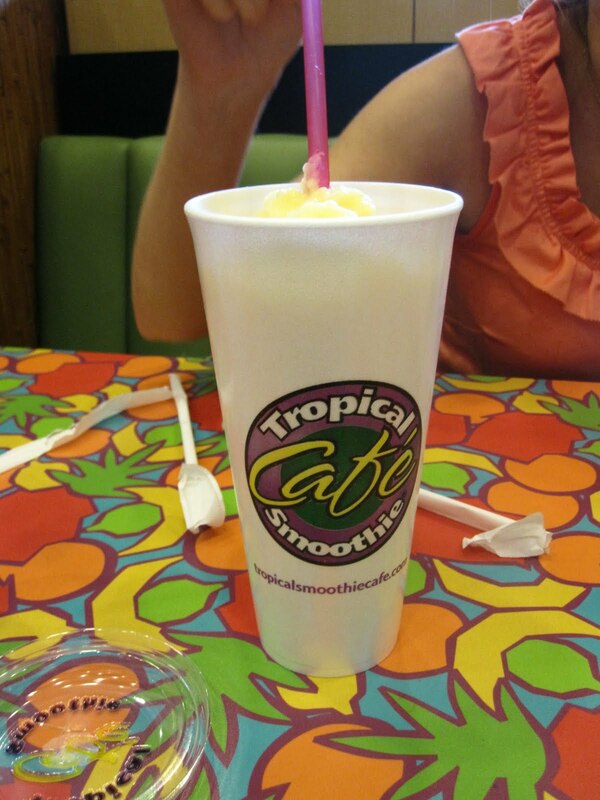 I love tropical smoothie. My favorite is pomegranate plung or something like that. I think it has more calories though. 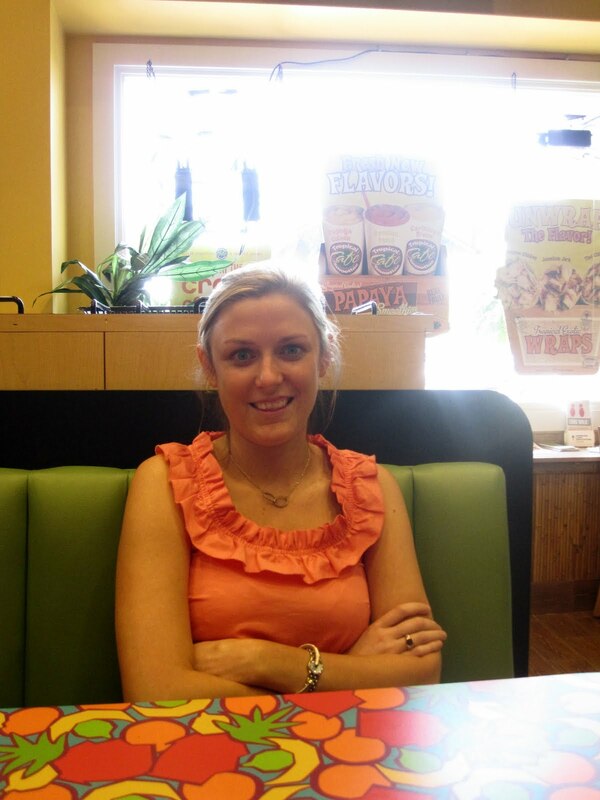 We hit the Smoothie King after our daughter's soccer practice the other night. Had to get the Apple (can't remember the rest of the catchy name)with protein infusion. Yum!! I love smoothies! I don't know if you all have Jamba Juice but it's wonderful. Both my younger brother and sister work at Jambab Juice which means free smoothies for me! And yes I do eat something I'm obsessed with everyday. Right now it's dates and almonds. Stuff a salted almond (it must be salted) into a pitted noor date and enjoy. Perfect combination of sweet and salty--totally addictive! If smoothies are the new cheesecake, DIY froyo is the new cupcake... there are a BILLION new froyo places in Dallas... Orange Cup, Tasty D-Lite, Pink Berry, Yogurt Town... and my personal favorite, I Heart Yogurt. I Puffy Heart I Heart Yogurt, in fact. I'm VERY MUCH that way - with everything - a movie, a TV show, a bar - you name it! My latest food/beverage -related obsession is hot chocolate (recently discovered this at work) and mexican -i'm just FEELING IT! In my opinion you should get more than a penny-saver coupon for this endorsement because you have totally sold me! Orange Julius? Yes please! Yum - very well may be my after work snack this evening! Ummm Im looking pretty miserable in the first picture....but in the last its obvious I cannot contain my happiness! Oh wow. Thank you for sharing this place. I have not heard of these smoothies & smoothie stores. I don't even know if they are in the Carolinas. There's a Tropical Smoothie right behind my work and I go there 3/5 days of the week! Love the Blimey Limey and the Peaches 'n Silk is delish, too! Their flatbreads are really good too! Blimey limey is my favorite! I was JUST thinking about this and wondering if other people did this too! I will eat the same thing for a week straight until I'm sick of it. Too funny.